The Getty Center presents the Getty's collection of Western art from the Middle Ages to the present against a backdrop of dramatic architecture, tranquil gardens, and breathtaking views. There is also a nice garden to enjoy, and it's a great place to spend an afternoon. Admission to the museum is free. There is a charge for parking, which does not apply if you are taking the bus. 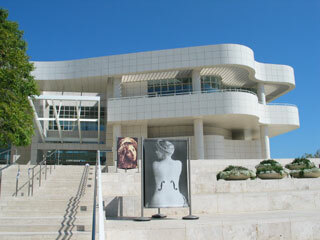 The Getty has limited hours (see their website for a schedule), and can get quite crowded on weekends. Admission is free. From LAX, a bus ride takes 90-120 minutes each way (including transfers). 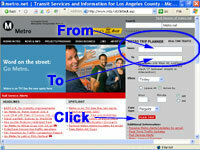 MTA's Metro Trip Planner displays schedules and fare information for LA metro buses and trains. It's fast and easy to use. Simply visit the MTA's website at Metro.net and you'll find the Metro Trip Planner on the top right side of the home page. It could take 4 or 5 hours to see everything. Also, you might enjoy sitting in the garden or on the grass for a little while. So you will realistically need at least a 8 hour layover for this excursion. Don't forget to allow an additional hour to get through security and walking through the terminal at LAX.